We all have a first name, but how many of us really know its origin and history? 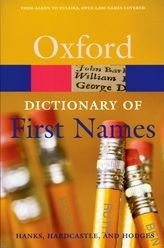 This dictionary covers over 6,000 names in common use in English, including the traditional and the very newest. Every year, there is much speculation in the UK as to which names are rising or falling in popularity. 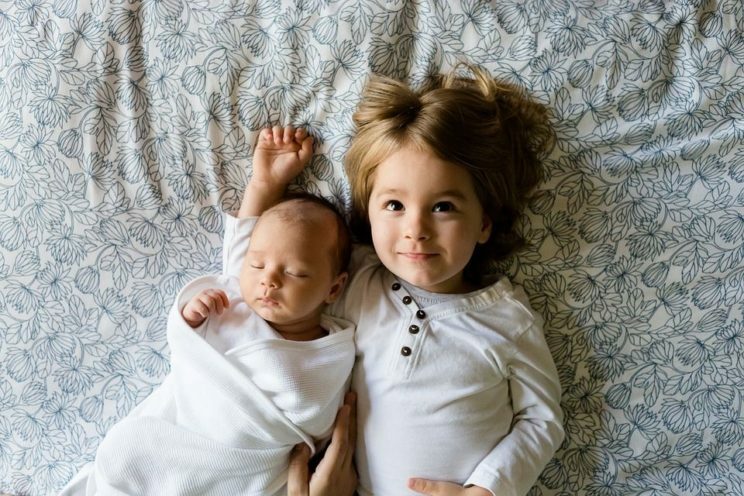 Figures published by the BBC for the most popular baby names of 2015 had Oliver and Amelia as the two favourites. So far, 2016 has thrown up some surprise results with Isla currently top for girls (up four places from last year), and Alfie (a new entry) making it to the boys’ top spot. But with all this fierce competition, do you know the surprising origins of some of our most beloved names? With 2016 almost at an end, we’ve delved into the epithetical etymology of the top five girls’ and boys’ baby names. Has your name made the list? Pronounced ‘eye-la’, this name originated in Scotland sometime in the twentieth century. It was relatively uncommon at first, but is now used widely in Britain. As you may have guessed, it derives from ‘Islay’ — the southernmost island of the Inner Hebrides of Scotland, known as ‘The Queen of the Hebrides’. Amelia is a blend of two medieval names, Emilia (of Latin origin) and the Latinized Germanic Amalia. It was used frequently during the seventeenth century, but only became really popular in in the eighteenth century, after both George II and George III (of the German House of Hanover) named their daughters Amelia. 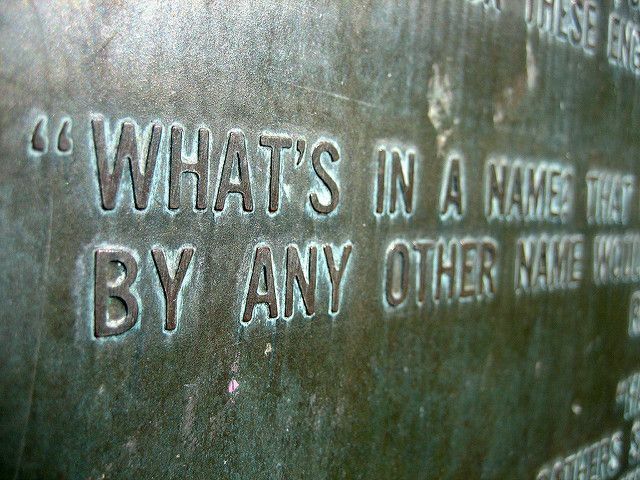 ‘What’s in a name?’ by Jack Dorsey, CC by 2.0, via Flickr. The meaning of Ava is contested, though it is thought to be a common form of various Germanic names, all containing the crucial element, av. There is little evidence of its use from the middle-ages through to the twentieth century – and it only rose in popularity recently. This is most likely due to the fame of the 1950s film actress Ava Gardner. Freya is a name of Old Norse origin. Freya (Alternatively spelt Freyja or Fröja) was a goddess associated with love, beauty and fertility in Scandinavian mythology. She owned the necklace Brisingamen, rode a chariot pulled by cats, had a cloak of falcon feathers, and always kept a boar by her side. The name has long been traditional in Shetland, and came to wider prominence in the 1990s. Evie is the pet form of Eve, Eva, or Evelyn — although it is often also used independently. It’s most common form Eve is the name of the first woman in the Bible, which derived from the Latin name Eva — which in turn originated from the Hebrew name Havva, thought to mean ‘living’ or ‘animal’. In line with this etymology, Eve is described in the Bible as ‘the mother of all living’ (Genesis 3:20). The shortened form of Alfred, Alfie comes from a combination of two Old English names. These are ælf meaing ‘elf, supernatural being’ + ræd meaning ‘counsel’. A fantastic example of Old English folklore, it was extremely popular during the time of Alfred the Great (849–899), and spread all over Europe. It was less popular in the mid-twentieth century, but has recently seen a massive return to favour. Image Credit: ‘Brothers, Family, Siblings’ by sathiantripodi, CC0 Public Domain, via Pixabay. Oscar is an Old Irish name, used in the Fenian Cycle (ancient Irish tales and ballads describing the deeds of Finn MacCumhaill) – for the grandson of the protagonist. Today, Oscar is one of the few traditional Celtic names popular in Scandinavia as well as the rest of Europe. Its travels were helped by the fame of Oscar Wilde and the eponymous film industry awards. Teddy is generally used as the nickname for Theodore and Edward, though also given as a name in its own right. Teddy bears themselves were named after the American president Theodore Roosevelt — largely inspiring its subsequent use. Teddy is one of the few top-ten names to be gender-neutral, as it can also be used as a pet form of Edwina. Although an ancient name in its own right, Harry derives from the even older name of Henry. It came to prominence in England in the Middle Ages, and has been used by dramatists and novelists across the ages – most recently at the protagonist of J.K. Rowling’s Harry Potter series. It was the nickname of all eight King Henrys, as well as a common form of Harold and Harrison. Like Harry, Teddy, and Alfie – Jack is also a pet form of an older name. Originally the nickname for John, it came from the Middle English Jankin, which in turn derived from from Jan (a contracted form of Jehan ‘John’) + the diminutive suffix -kin. It was so common in the Middle Ages that ‘jack’ became a generic term for a man. Featured Image Credit: ‘Baby, Girl’ by regina_zulauf, CCO Public Domain, via Pixabay. Find out what your name really means, with the new edition of 'A Dictionary of First Names' available both online, and in print. Covering over 6,000 names in common use in English, from Alice to Zanna and Adam to Zola, this book will answer all your naming questions. This blog post was written by the Oxford Reference marketing team. Oisín (pronounced ush-een) is the Gaelic name. Oscar is the anglicised version as far as I know.